As the world waits with bated breath for the first official pictures from Deepika Padukone and Ranveer Singh's wedding, brands have snuck in a few quick wishes for the happy couple. 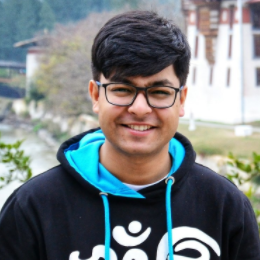 From Durex's tongue-in-cheek message to Amul's butter-smooth wishes, we've rounded up some of the best posts that have been doing the rounds on social media. If there was one brand that was not going to let the DeepVeer wedding pass quietly, it was Durex. The condom company, known for getting their spot-on innuendo, congratulated the couple in the funniest way possible. Their post read, "Congrats Deepika & Ranveer for officially putting a ring on it.” They also captioned it, "We’ve got you covered. :)"
Durex had roped in Ranveer as their brand ambassador, choosing to ride on the Padmaavat actor's over-the-top and quirky nature. This isn't the first time the brand had made the most of Ranveer's eccentric personality. Remember the time he wore an outfit that looked like a condom to Shahid Kapoor's party? Durex was all over the photo! The condom brand has not been afraid to go after celebrities during their wedding. They famously extended their pun-intended congratulations to Virat Kohli and Anushka Sharma, as well as Sonam Kapoor and Anand Ahuja on their weddings. We can totally imagine Ranveer going gaga over the post. If we had to place our bets on one company being 'present' at Lake Como, it will most probably be Durex. Amul also came out with their own heartfelt message a little later. 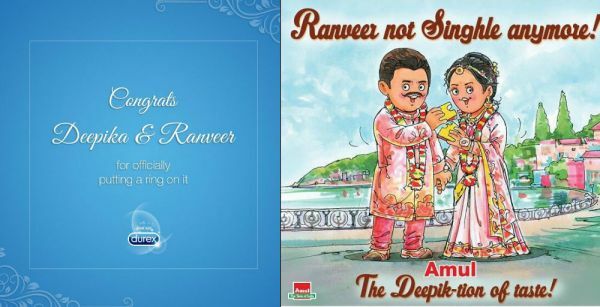 The brand shared an utterly-butterly post featuring a doodle of DeepVeer munching on a buttered toast. They wrote, "Ranveer not Singhle anymore. 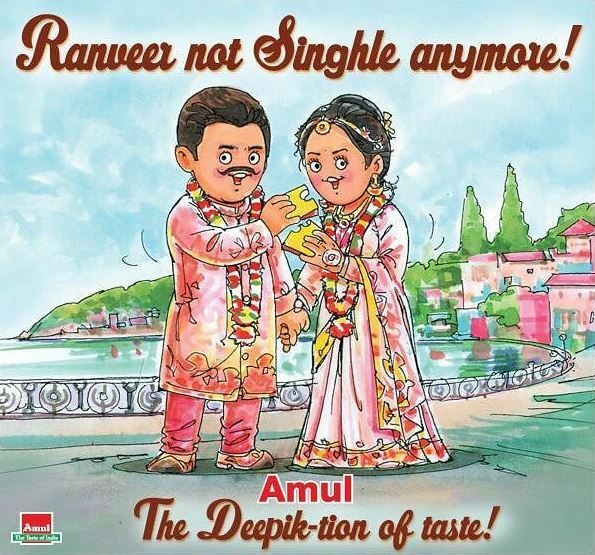 The Deepik-tion of taste." Look at the background - it's Lake Como! Not to miss out on the occasion, both Kotak Mahindra Bank and Axis Bank extended their wishes to the couple. Ranveer joined Kotak as their lead ambassador back in June this year, and they went all out to wish him with a full-on baaraat video and a witty hashtag. Take a look. Axis Bank shared a message to wish DeepVeer, too. The brand captioned their video, "We wish you all the happiness in the world, and that's why we want your big day to be only about you and the one you love!" We could not be more excited and happy for Deepika and Ranveer. The rumour has it that the pictures from their engagement might be out later today and you can find all the scoop from the wedding here.